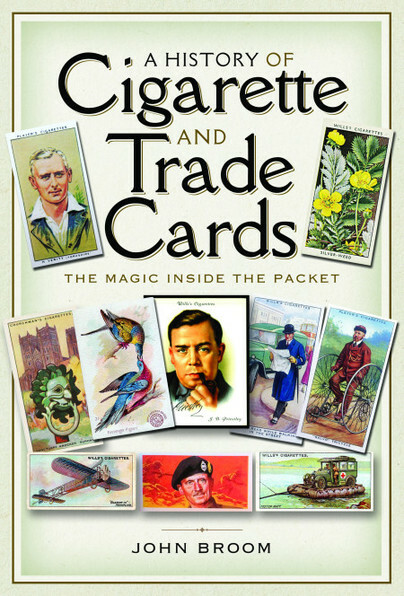 You'll be £13.50 closer to your next £10.00 credit when you purchase A History of Cigarette and Trade Cards. What's this? The collection of picture cards has fascinated generations of children and adults since the late nineteenth century. Between 1900 and 1940, cartophily, as the hobby became known, became widespread as hundreds of millions of attractive cards were issued, usually with packets of cigarettes. These cards give us a unique insight into the cultural history of the period. Although the production of cigarette and other trade cards has declined in recent decades, millions of people worldwide now collect trading cards and stickers issued by the likes of Topps and Panini. This attractive and extensively illustrated guide to collecting cigarette and other trade cards gives the reader a lively history of the hobby, and offers the collector some valuable advice on how to begin and maintain a collection. The wide variation of themes of card issues is explored, with many of the stories behind the cards revealed. It will appeal to novice and established card collectors, and those with an interest in twentieth century social and cultural history. This marvellous history of cigarette cards is image heavy, which is brilliant. Big, diverse groupings of subject matter (i.e. wartime, sports, transportation, flora & fauna, pop culture, science, scenery, and valuable cards) that appeal to men, women, and children (and differing views on global/European history). ⭐⭐⭐⭐ Informative, pictorial and easy to read book. A History Of Cigarette And Trade Cards is an informative, pictorial and easy to read book that describes the history of both cigarette and trade cards, and then goes on to talk about many of the themes that were depicted on the cards. I enjoyed reading about this subject. Cigarette cards were first printed in the 1880s in America, with the cardboard being developed as supportive packaging, but its possibilities as a useful advertising tool were soon realised. Developers of the cards started to print information about the pictures on the cards, which were like mini-encyclopaedia. The idea caught on and the cards became collectable. The book contains specific chapters on popular card themes and ends with a short list of further reading. I thought the book was well presented with good colour photographs and would happily recommend it for anyone who enjoys the hobby of collecting or has a particular interest in this aspect of cultural history. The author has produced a delightful view of the cards and covered a wide, but not exhaustive, range of card topics. It is a very interesting review and will undoubtedly encourage more collectors. I thought the book was well presented with good colour photographs and would happily recommend it for anyone who enjoys the hobby of collecting or has a particular interest in this aspect of cultural history.